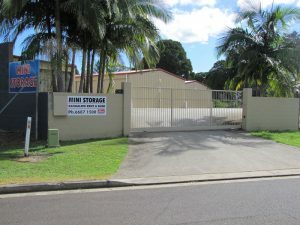 We manage 2 well maintained, secure and waterproof Storage Shed complexes in the Bangalow Industrial Estate, with a total of 136 Sheds for rent. Availability is always changing, we may not have the shed you are after available, so please enquire with us. Available Short or Long Term, Bangalow Rent-A-Shed has 64 Storage Sheds available for short or long term lease. Sizes vary from 3×2.6m, to 2.7m x 8.2m with a multitude of sizes in between. 24/7 access, video surveillance.